Football fans, it’s fair to say, are prone to exaggeration. Supporters of virtually every club up and down the country bemoan their bad luck and insist that regular bouts of misfortune are an intrinsic part of their side’s very identity. Leading 1-0 against the favourites for relegation with five minutes left, only to throw it all away by conceding two late goals? That’s just typical [insert club name here]. Even so, those hardy souls who followed Doncaster Rovers throughout the 1997/98 campaign had the right to lament their situation and express their displeasure at every available opportunity. In fact, they probably didn’t go far enough. On the final day of the season, long-suffering fans staged a mock funeral at the club’s Belle Vue Stadium. A cortege trundled into the ground ahead of Doncaster’s meeting with Colchester United, with hundreds of mourners present to pay their respect. Upon reaching the stadium, they laid wreaths, banners and memorials in memory of the departed. Once inside, a trumpeter played the Last Post, as grown men and women cried into their scarves before laying a floral display. The sense of sorrow was inescapable. But despite the sombre atmosphere, no one had died. Well, not a human being anyway. The only casualty was Doncaster Rovers, a proud, historic football club who had been driven to the brink of extinction. The clash with Colchester brought the curtain down on perhaps the most calamitous season in Football League history – and not just because the Yorkshire side were about to set a new record for the most losses suffered in a single campaign. Their total of 34 defeats has not been ‘bettered’ two decades on. Relegation was sealed a long time before this fixture, but the thousands gathered at Belle Vue believed it would be the last time they’d be able to watch their team in action. Ever. Lurching from one disaster to the next, the script of Doncaster’s season would have been rejected by even the most fanciful of Hollywood directors. The groundwork for such a disastrous tale was laid in 1993 when Ken Richardson took charge of the club. Initially hailed as a saviour after splashing the cash to bring in a host of new signings, any positivity quite literally went up in smoke less than three years later. When Belle Vue’s Main Stand caught fire one night in 1995, the discovery of empty petrol cans nearby sparked suspicion of foul play. And when Richardson was arrested and later charged for conspiracy to commit arson, the sky began to fall in on Doncaster. Reportedly valued at £18m, the land that Belle Vue was built on was considered to be the most lucrative of any football ground in the country outside London. However, Richardson’s plan to relocate to a new stadium and cream off the profit was scuppered after a council covenant was placed on the site. With a court date set for January 1999, Richardson was released on bail. He was therefore able to continue calling the shots at Doncaster, but the businessman soon found that the locals weren’t exactly willing to welcome him back with open arms. Strangely, his subsequent decision to withdraw all financial support for Rovers didn’t lead to a thaw in relations. To the surprise of no one, it did not take long for the situation to deteriorate. By February 1997 Doncaster were facing a court winding-up order and shedding senior pros at a frightening speed, while manager Kerry Dixon claimed he wasn’t even authorised to pick the team. Donny limped to a 19th-place finish in the Third Division – five points clear of the drop – but optimism was in short supply ahead of the 1997/98 campaign. Dixon didn’t last long and left the club in August, triggering the first of several managerial changes. His permanent replacement Dave Cowling was appointed over a month later, but he left after less than a fortnight in the hot seat due to Richardson’s insistence that he be involved in team selection. By the time Danny Bergara took up the reins, the writing was already on the wall. Eleven defeats and only four points from their opening 15 games meant Rovers were anchored to the foot of the table. Even the League Cup offered precious little respite: Nottingham Forest visited Belle Vue and left with a 8-0 victory. Bergara soon became the next victim of Richardson’s interference and threw in the towel before the end of the month, only to return soon after as director of football. 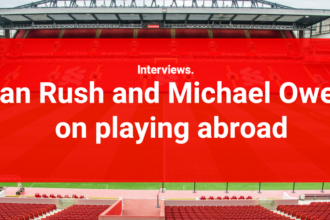 The Uruguayan was instructed to work in tandem with general manager Mark Weaver, a frontman for Richardson who had limited experience of running a football club. The unlikely duo did manage to secure a first victory of the season at the 21st time of asking, as Donny beat Chester 2-1 at the start of December. That, though, was nothing more than a rare bright spot in a season of misery. With tensions between Richardson and the supporters at breaking point, attendances plummeted. Those who continued attending Rovers’ games barely focused on the on-field action, instead using the opportunity to criticise an owner who would make the Glazer family look popular at Old Trafford. Protests, pitch invasions and abuse became hallmarks of a visit to Belle Vue, and there were even allegations of more serious threats levelled against the powers that be. “I’ve got a couple of security lads who travel with me to every game, home and away,” Weaver told They Think It’s All Rovers, a documentary broadcast on Channel Five at the time. With Doncaster falling further and further adrift at the bottom of the standings, demotion began to look inevitable. Supporters, in truth, had accepted that reality before Christmas; their priority was to make sure that the club would be able to take their place in the Conference in 1998/99. With only one professional player left on the books, Bergara was forced to fill his squad with teenagers from the youth team. Training sessions were held on a local park because the club had no facilities to call its own, while there was also no money to pay the players’ travel expenses. Things got so bad that goalkeeper Dave Smith, who was Weaver’s neighbour, was signed from a Sunday League side to play against Darlington. It wasn’t a success: Smith was substituted at the break as Rovers were demolished 5-1. Most damning of all, that wasn’t even the club’s worst league defeat of the season – that honour went to an 8-0 thrashing by Leyton Orient three days after Christmas. What was left of the youth team wasn’t immune from farce. With no staff left to train them, the youngsters held sessions in the Belle Vue stands. On one occasion, a group of them were locked inside the ground after a door handle broke off. Doncaster were a club heading in only one direction. After relegation was confirmed, the final match of the season was chosen by Save The Rovers as the perfect time to make a stand. After the march to the ground before kick-off, fans – some dressed as pallbearers – were invited onto the pitch to lay flowers in the hope that it would quell any trouble. However, the players were forced off the field in the first half as hundreds of home supporters ran on from the terraces. A large-scale protest followed, as loyal Donny followers called for Richardson and Weaver to depart. A poisonous atmosphere festered and, with concerns for his safety, Weaver was advised to leave the ground by police. Weaver’s departure wasn’t as undignified as Richardson’s, though. The owner was found guilty of his role in the 1995 fire and sentenced to four years in jail, with the key piece of evidence as ludicrous as the entire mess he had presided over at Belle Vue: a mobile phone left at the scene by the hired hand who set the fire, containing a message sent to Richardson saying, “the job’s been done”. While Doncaster returned to the Football League in 2003, Richardson and Weaver didn’t surface again. The mark they left on the club, though, will never truly be laid to rest.